Interior design has evolved over the past century, and the New York School of Interior Design—which was founded by architect Sherrill Whiton 100 years ago—has changed along with it. In 1915, during a slowdown in the building industry, Whiton conceived the idea of a Home Study Course in the Decorative Arts. As more and more home study students began to visit his professional office expecting to find a school, he decided to open one in 1916. He established the New York School of Interior Decoration. At the time, interior design was just beginning to take shape as a distinct and recognized profession—one that required training in everything from art history to the play of light on walls and other surfaces. 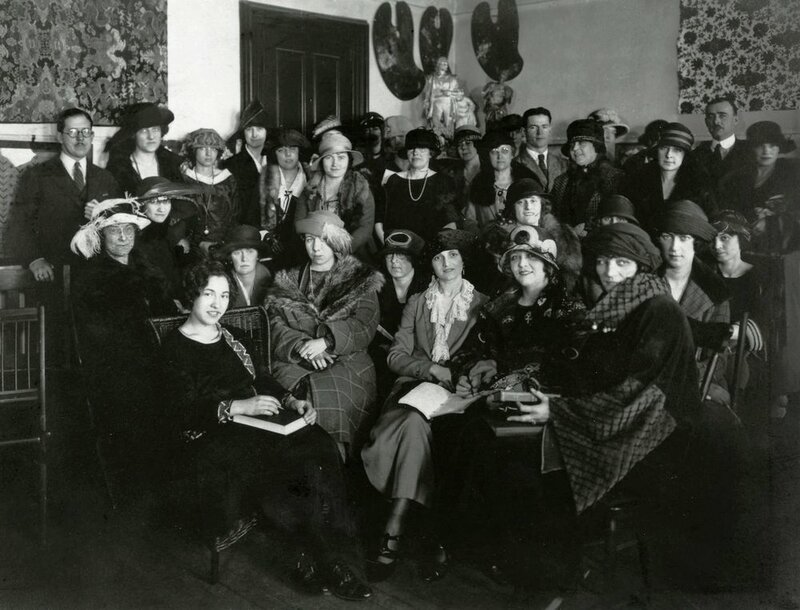 In 1924, NYSID was chartered by the New York State Board of Regents. Since then, it has grown from a handful of students and a single course of study in its first year to more than 600 students and nine programs today. Whiton literally wrote the book on interior design education. His Elements of Interior Decoration was published in 1937 and is currently in its 6th edition, now titled Interior Design and Decoration. It is still a design school standard today. In 1951, the College’s name was changed to the New York School of Interior Design, recognizing that the education we provide doesn’t only concern itself with the details and finishes of a space but the architecture of the interior, everything that is not strictly structural. And by the time Jacqueline Kennedy was first lady—and first brought to national prominence the role of the interior designer with her renovation of the White House—we'd already been on the scene for four decades. In many ways, it's our firm foundation in the evolution of interior design's history that's allowed us to be its forerunner. In its early days NYSID was located in various buildings on Madison Avenue and in Midtown—the last, an impressive site on East 56th Street, was designed by architect and faculty member William Breger. NYSID eventually settled into its current location on East 70th Street in 1994, among the city's top fine art and antique dealers and renowned museums. A major expansion and renovation—to NYSID's tandem building on East 69th Street—followed in the late 1990's. And, in 2010, the College opened its LEED-Platinum Graduate Center on Park Avenue South and 28th Street, which houses faculty, staff and more than 150 graduate students. Today, we are firm believers in the importance of sustainability, in fostering the dialogue between the fields of interior design and architecture, and in the future of accreditation standards in education and licensing of practitioners in the interior design profession. Thanks to the efforts of our esteemed faculty—and equally esteemed graduates—good interior design is a paradigm for good, healthy, sustainable life on the planet. And the skills of its professionals are, more than ever, in demand. 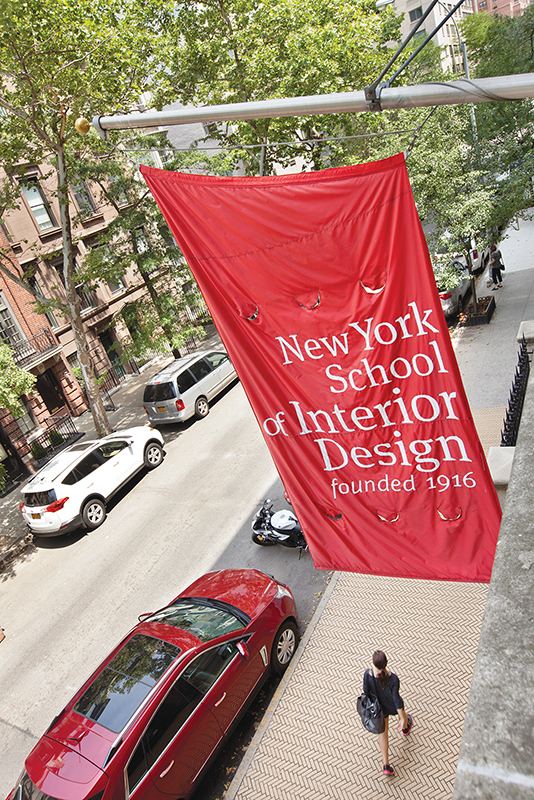 Founded in 1916, New York School of Interior Design has been leading the study of interior design for a century. What began as a handful of students in a single course of training is now a thriving nonprofit, accredited college offering certificate, undergraduate, and graduate programs for students at all stages of their careers. We celebrated our 100th anniversary with series of events and initiatives that paid tribute to our rich history, our role in the development of the field, and the great opportunities for the future. But we're only just beginning. NYSID's future is exciting, and we're looking forward to the next 100 years.